Rank tracking doesn’t have to be complicated, and after this guide, you’ll be able to rank track correctly for virtually every type of business. Besides SEO experts who rank track as an essential part of their regular line of work, there are many other business types that do their own SEO and also require proper rank tracking. 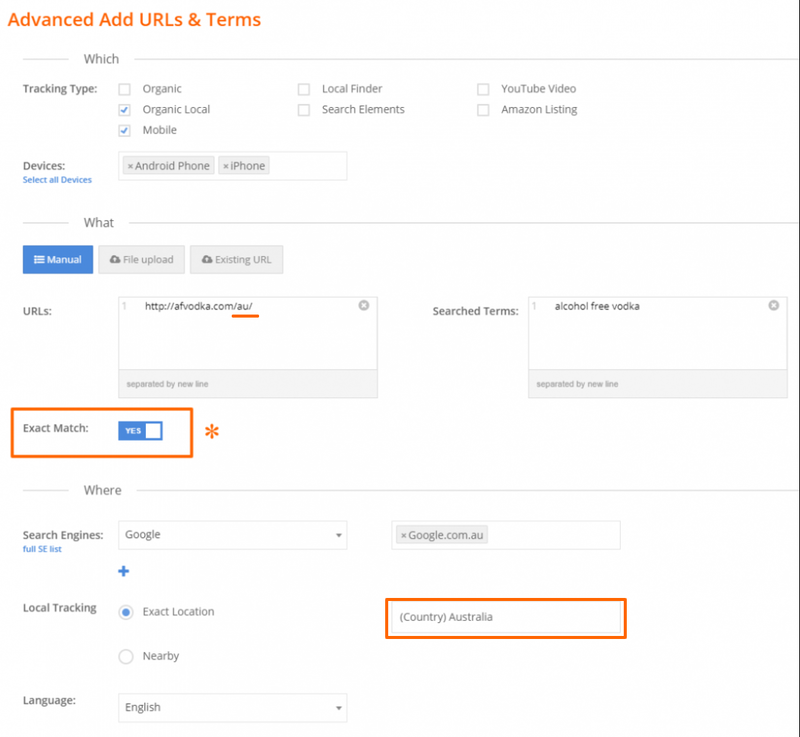 Certain business types will require SERP trackers with additional rank tracking abilities other than just tracking Google, and even tracking Google requires certain standards that not every tool offers. So, to help you get the best results from your SEO rank-tracking tools, we decided to compile our definitive rank tracking guide for the most common types of businesses that require SEO. Each business type will require certain abilities from their SERP tracker, such as tracking specific ranking types for Google, additional tools and features, and search engines other than Google that need to be tracked. So, this article is basically for anyone who does any kind of SEO, from business owners that try to promote on their own, to SEO experts that might encounter any of those types of business and will benefit knowing how to rank track the right way for those businesses. You might be a backlinks wizard and be amazing at producing fresh content and getting search engines to favor your website, but if you can’t monitor your progress correctly, it will just end up hindering you. We will focus on PRT’s features and abilities on this one, naturally. 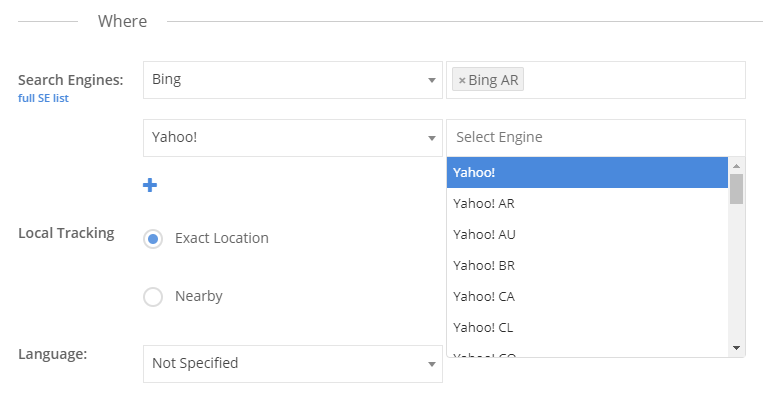 Preferably, you’ll have a SERP tracker like PRT that offers all of these abilities in one place, but they can also be found scattered among several tools, so you can explore the market for those features to compare tools properly. So let’s begin. We’ll break down some common business types and the rank tracking they will require, and we’ll also show how to do it correctly and accurately using PRT. Every aspect we’ll mention will also have a helpful link with more information that you can dive into and explore further. **Since this is a long and extensive guide, not all business types will be applicable for you. The ideal way to use this guide is to read the first part, which is relevant for every business, and then simply locate the business type that’s related to your field (marked orange) and read about what’s needed. e-commerce, Shopify, drop-shipping websites, etc. If you don’t know the right type of rank you need to track, you will not get the correct rank, no matter which tool you’re using! Once you’ve identified what areas your target audience is mostly located in, those are the locations you’ll need to know your ranks from. Everyone needs some sort of visual representation of the progress their ranks have made over time. Just as anyone invested in stocks needs to see the progress the stocks have made on a graph. Having the ability to place notes on the graph at certain dates can help reveal the picture of why a rank has fallen or risen and just generally allow you to keep a more solid track of everything. For example, just placing the note “Google update rumors” on a certain date will provide valuable insight looking back at the progress graph. You can have those features and start tracking all those ranks right now, starting at only $17 a month with PRT. Check it out! Video marketing is a very popular field in advertising that has a great ROI if done correctly. It can easily beat more traditional marketing approaches, such as just text or images. Video marketing is already one of the main advertising mediums, and current predictions state that video marketing will make up 82% of all IP traffic by 2021. Some websites have a geographical location that needs real-life, physical traffic to be driven to their place, such as restaurants, clinics, car repair places, etc. 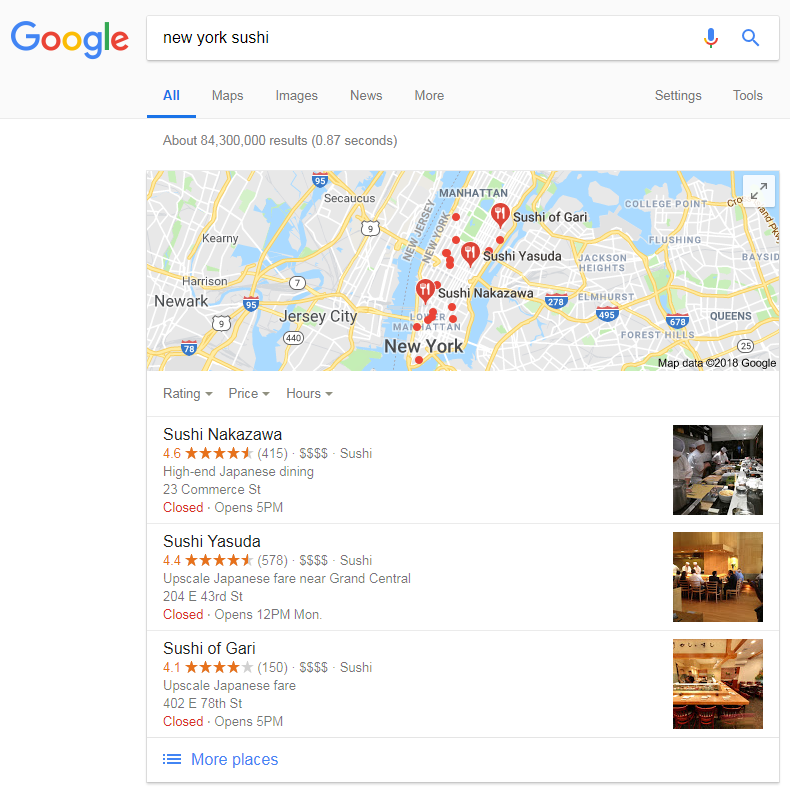 There are two Google SERP elements responsible for driving real, physical traffic to places, and they should be tracked! Snack Pack has significant benefits over the regular organic lists, such as showing user reviews, user pics, opening hours, contact details, the ability to navigate to the place with GPC and much more. Most users will opt to view the full list of places nearby. These are separate ranks from Snack Pack. You might not be visible on Snack Pack, but you might be located 5th, which is why it’s essential to track the extended map results as well (PRT’s Local Finder feature tracks those ranks). 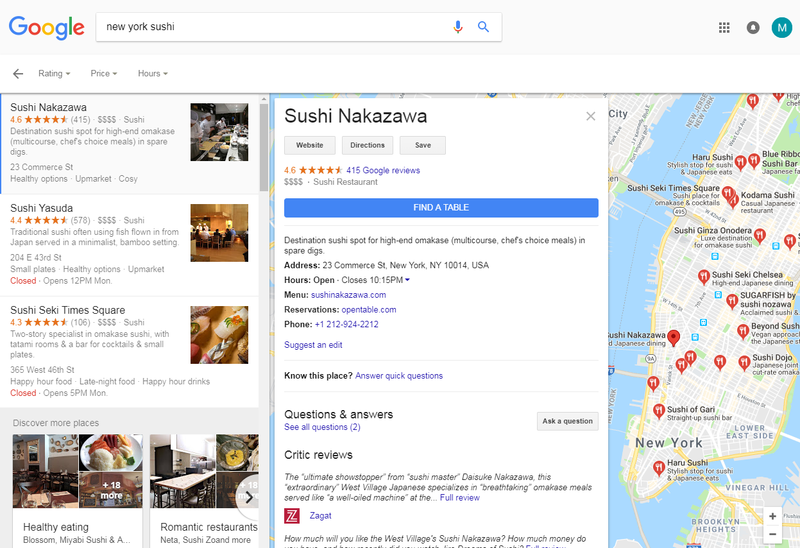 Some businesses don’t even have a website, but they do have a Google maps presence, and they won’t even need to track regular Google ranks – but they will benefit from knowing where they rank on Snack Pack and in the top 100 map results. Furthermore, you need to be tracking the UI language of the translated version. Google uses the user’s default UI language as an additional personalization layer. For example, a user from Quebec, Canada with English as their default Google UI language will see a SERP with different ranks than a user that uses French. So, if you have a webpage that’s translated into French, you need to track that exact translated webpage’s URL for users that use French as their default Google UI and from the relevant location. This is the ability to fetch fresh ranking data at the click of a button, whenever you need it. This is crucial for frequently crawled websites, and PRT offers up to 3 daily updates on demand for every rank being tracked on our system. With this ability, you’ll be able to see immediate shifts in your ranks and the spikes and dips that follow events and viral breaks. This is also generally great for any type of website following a major Google update. Getting fresh ranking data on demand will show you if your ranks were influenced by the update right away – instead of waiting a whole day. Having notifications is also a great way to notice sudden ranking changes following a major Google update, which shakes the ranks of any type of website. PRT can track all of it! 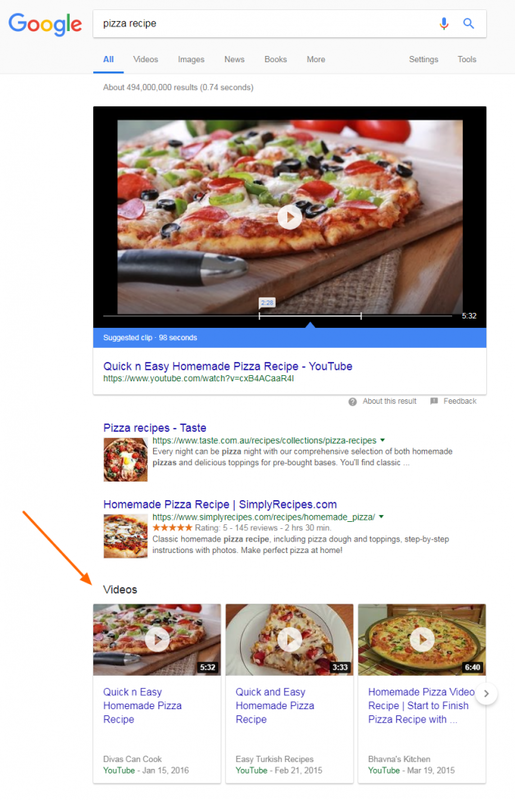 Is your website visible on Google search on Apple devices? If you target Russian-speaking audiences, it’s good practice to throw some Yandex SEO into the mix and gain some valuable organic traffic. Yandex is very popular among Russian-speaking users and enjoys some unique demographic benefits that, if researched and utilized, can yield some nice additional value. 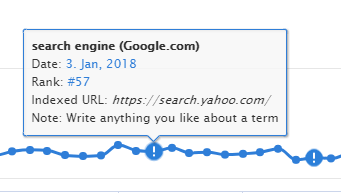 Not many rank trackers can track Yandex, since it uses a completely unique ranking algorithm. But those that can usually stick to Yandex and basic Google ranks with no personalization differentiation, and they offer very few additional features and abilities. But PRT can easily track it along with everything else you’ve read about so far! PRT is currently the only rank tracker on the market that can track those advanced Google ranks, and even if your websites are not yet influenced by it, it’s certainly a good idea to start keeping track and making sure you remain visible for all mobile users! Targeting those two underdog search engines is healthy SEO practice for almost any website and business. 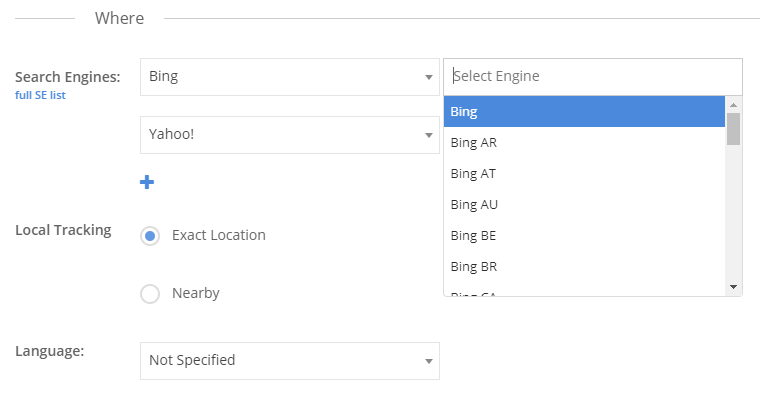 Bing is quite strong in the US and UK and offers some very nice demographic benefits in the form of mature and more financially stable users than Google. Bing users might be fewer than Google users, but they sure pack a stronger financial punch! PRT’s $17 entry-level monthly plan can give SEM experts those tools for a fraction of the price Google and other tools ask for! Sending ranking reports to clients is a must. It lets them stay informed on how their ranks are doing and that their money is being well spent. PRT has more than 12 different ranking reports that are fully customizable, from easy-to-read ranking reports to highly advanced ones that feature graphs and charts. And best of all, you get an unlimited quota of ranking reports for all of our paid plans, even our entry-level $17 one! Placing your logo on top of ranking reports will help you appear more established and preserve your brand. PRT is 100% white label, meaning every single one of our features can be embellished with your logo, including our entire rank tracker. We offer the widest white-label support on the market, and your clients will effectively not even know there’s an external tool and will see just your logo and company details on our tech! Sub-accounts are a great tool for distributing work among your colleagues, and if you really want to impress a client and appear established, you can give them access to a sub-account of their own with your logo, making it seem like you have your very own SERP tracker! Some SEO experts and agencies have developed their own SEO tools and just need fresh and accurate ranking data fed directly to their tools. If you’ve already invested in a rank tracker of your own, you need a tool that – at the very least – offers high-quality API support. Contact us for more details. We will rival any price on the market, and our API specialist will help you set it up in no time! Being a SERP tracker user is not a commitment for life. The tool you use needs to have some sort of data export option so you can have the freedom to migrate to another tool whenever you decide. A high-quality tool will be confident in their tech and will offer such solutions. PRT can import and export mass amounts of data easily using Excel files. That’s the end of our guide. Feel free to bookmark it and return to it whenever any of the business types mentioned here become relevant for you. If there are business types we didn’t mention here, feel free to tell us about them in the comments below and we will add them to the list with full details of what rank tracking they might require, helpful links, and if we support it or not! PRT can handle all of the features and abilities mentioned above and more, all in one affordable and 100%-accurate industry-standard SERP tracker. We are the ONLY rank tracker on the market that can handle such a wide coverage of rank tracking solutions. No need to search for external tools and pay extra when you’re a PRT user. Believe it or not, these features are all available starting with our most basic entry-level monthly plan at just $17! Before you pay, though, you can take us out for a truly amazing free 7-day trial spin and see our system in action with all features unlocked. We say truly free because we will NOT ask you for your credit card and won’t set any shady auto-renewal traps for you to trip on. We have full faith in our rank tracker and are fully confident that once you try it, you’ll stay. In case you wondered, after the 7-day trial is over, you’ll simply be moved to our regular free monthly plan that has no time limit (but also doesn’t have all the features we mentioned in this guide). Help spread the PRT way!